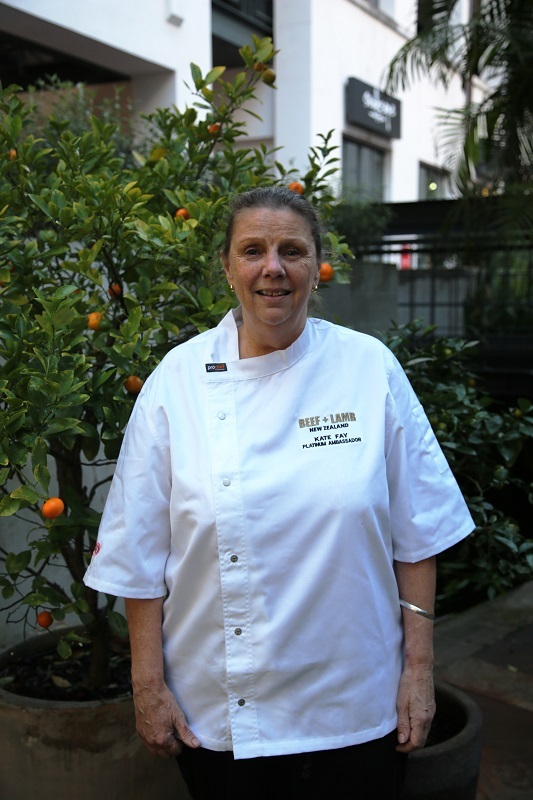 Kate Fay, Head Chef at Cibo Parnell, has been recognised as a Beef and Lamb New Zealand Platinum Ambassador Chef, a prestigious lifetime award only extended to eight other chefs in the nation. Fay is the first female to gain this status, which recognises her outstanding achievements in the Beef and Lamb Excellence Awards, having been named an Ambassador four times during her years of receiving the Award. Fay joined Cibo Parnell in 1999, which coincided with the first time she was named Beef and Lamb Ambassador. Over time, her cooking style has evolved through travel and she has managed to capture a blend of Asian and European flavours bringing amazing tastes, colours and textures to the plate. Last night she hosted her Ambassador Series dinner where she served guests a degustation showcasing five of her iconic beef and lamb dishes. It was during the event that she was presented with her Platinum plate. “Being the first women to receive this accolade is phenomenal,” said Fay. “It is a huge privilege to represent Beef + Lamb New Zealand, an organisation that is pivotal to the food service industry. As a chef I am so lucky to work with top quality, local produce. Highlighting one of the reasons Fay is so influential with New Zealand beef and lamb was her choice of dishes such as her iconic lamb neck sausage roll, made with lamb ribs, pea and mint gel. Previous articleWHAT DO KIDS WANT?